Choose between Volumising, Moisturising & Repairing rinse out Conditioners or The Strengthening Leave In Spray after using the Signature or Brightening Cleanser in Step 1. Free of Parabens & Sulphates; along with Colour Lock to prevent colour fade. Our secret ingredient is Baobab which has unique moisturising, strengthening and anti-ageing properties. The Leave In Strengthening Spray also has Extreme Heat Protection up to 250. 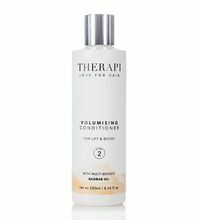 Leaves fine and lifeless hair feeling thicker with added bounce, volume, lift and boost. 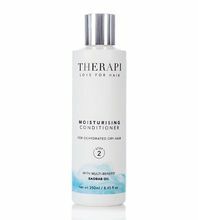 Targets normal to dry hair. Targets heat damaged and chemically processed. 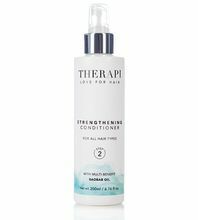 Perfect partner for hair requiring regular strengthening and conditioning.